Grace in Motion: Photographing Dance features studio and live performance photographs that pay homage to the dynamism and grace of the human body in motion. 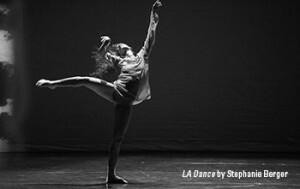 Westchester is home to several prominent dance companies and award-winning choreographers. Grace in Motion brings together two vibrant artistic communities – dance and the visual arts – through the compelling images of renowned local photographers Tracy Allan, Stephanie Berger, Ira Block, Ellen Crane and Mark Sadan.